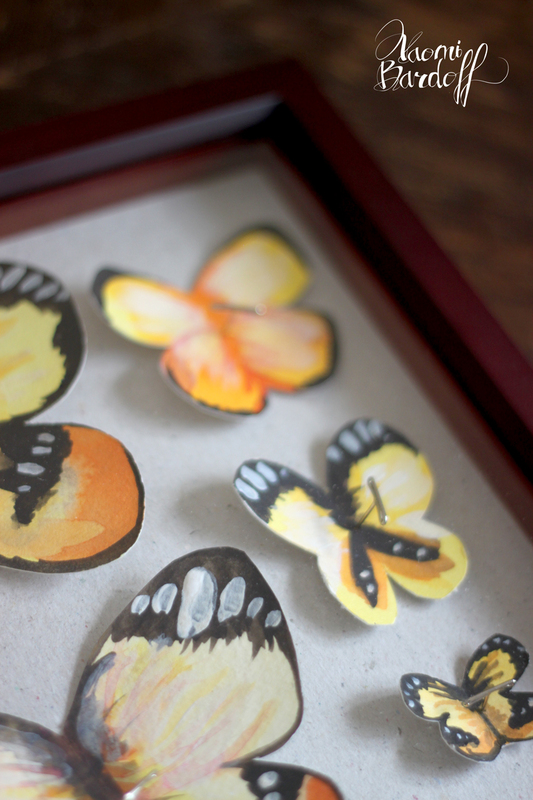 In college I made some faux-taxidermy vegan butterfly and specimen boxes. 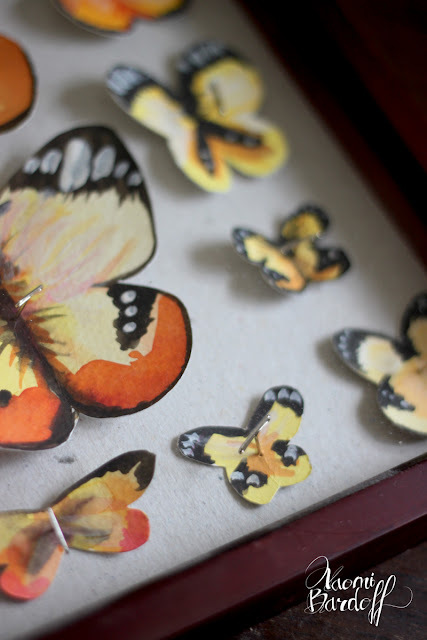 The boxes were made of Davey board and PVA and unfortunately disintegrated over the course of several moves and a long time storage. 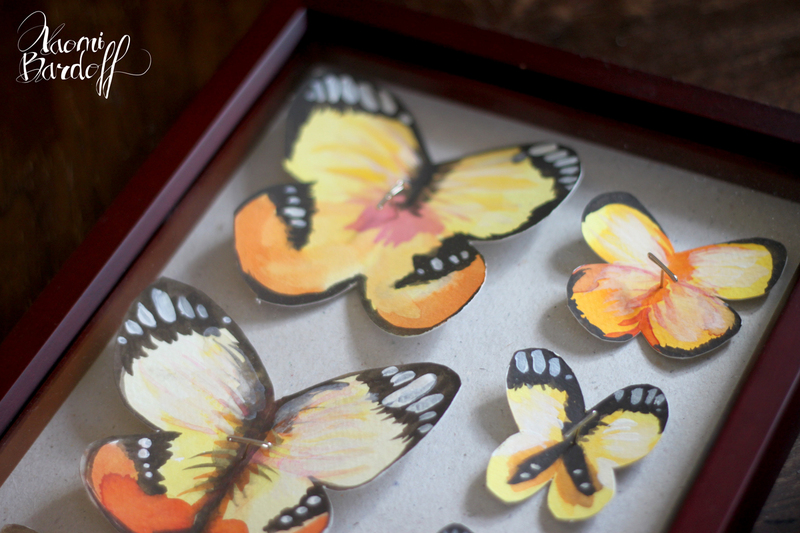 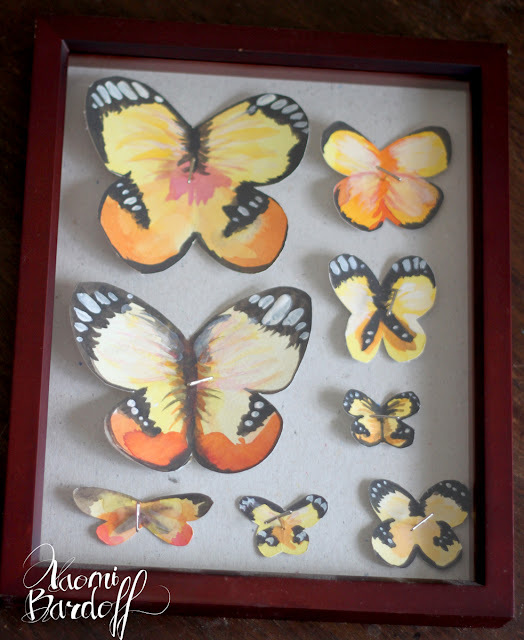 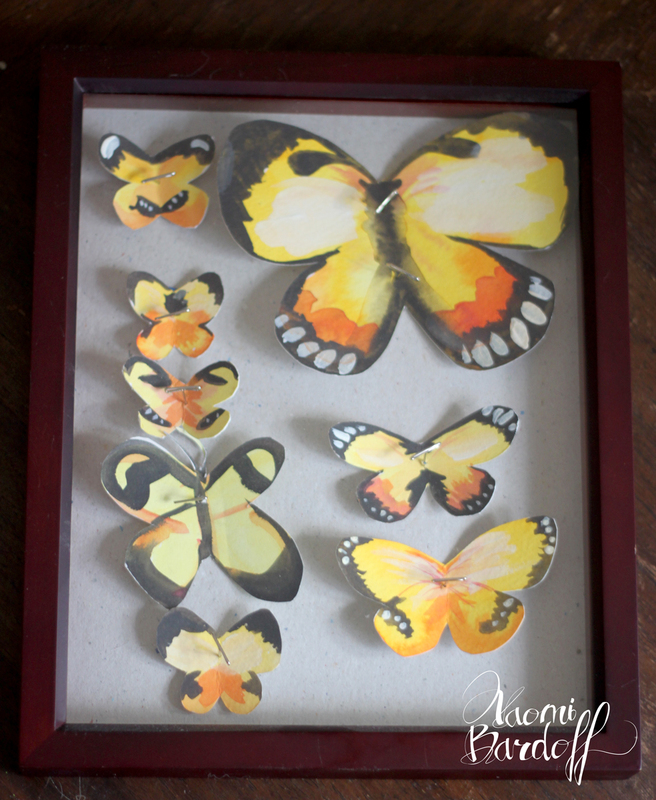 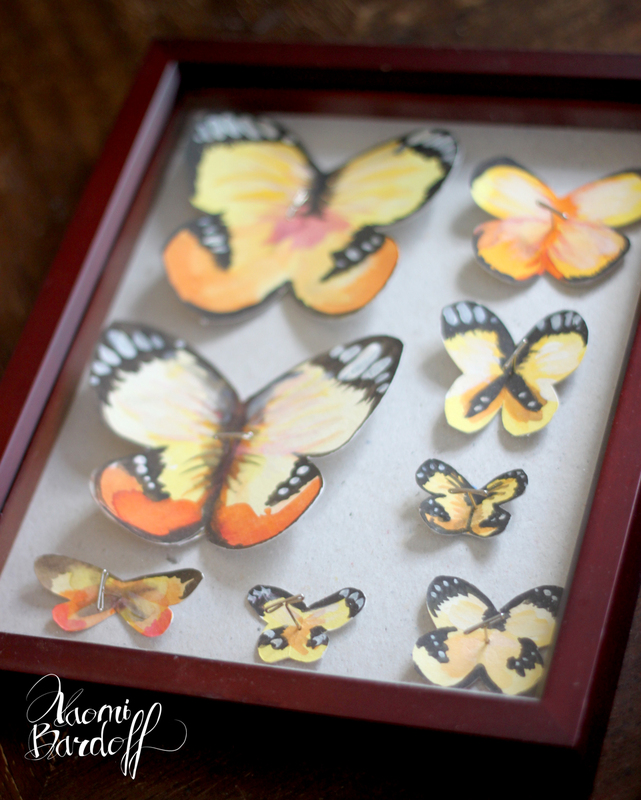 When I happened on these cute shadowbox frames at a garage sale, I revisited the project with some brand new butterfly cutouts. 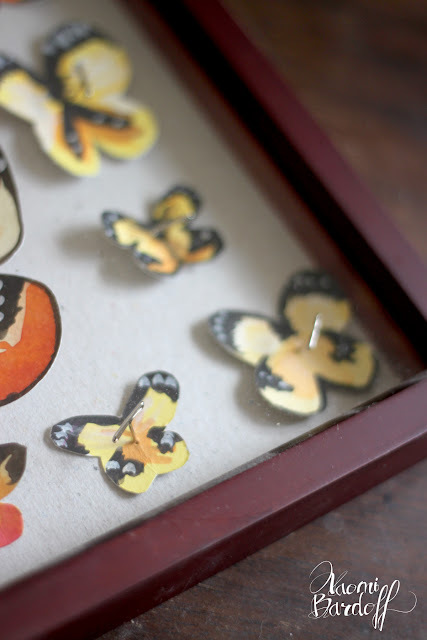 Interesting article. Unfortunately trends like this mean that hundreds of thousands of butterflies are caught and killed for their beauty every year (they almost never die of natural causes like people think)! There is no mistaking that butterflies are beautiful but I much prefer beauty without the best. 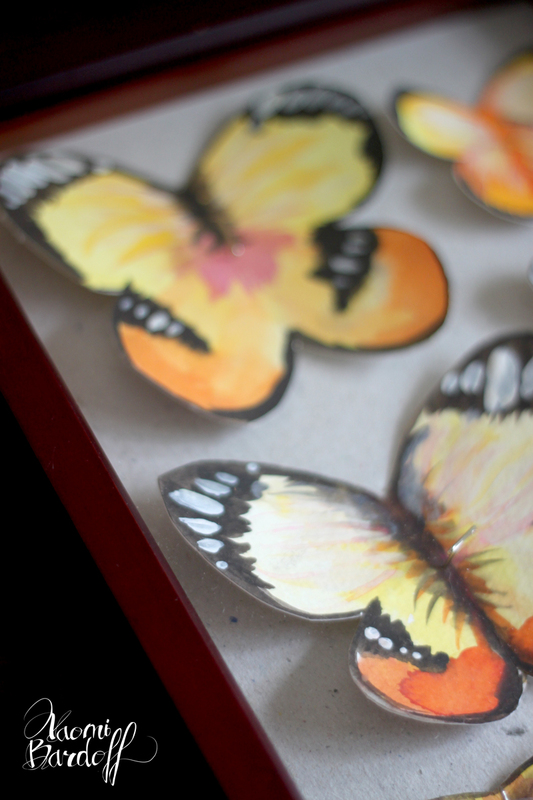 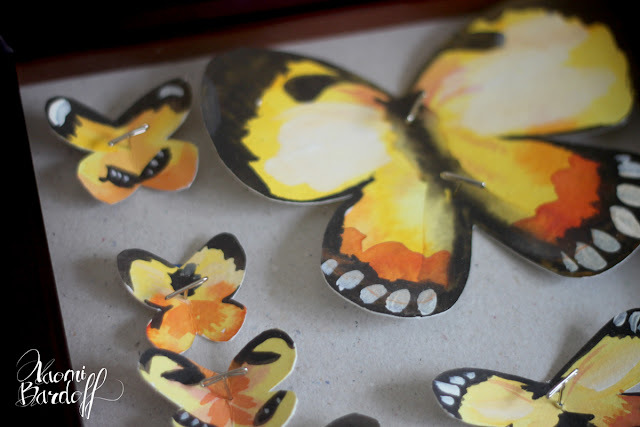 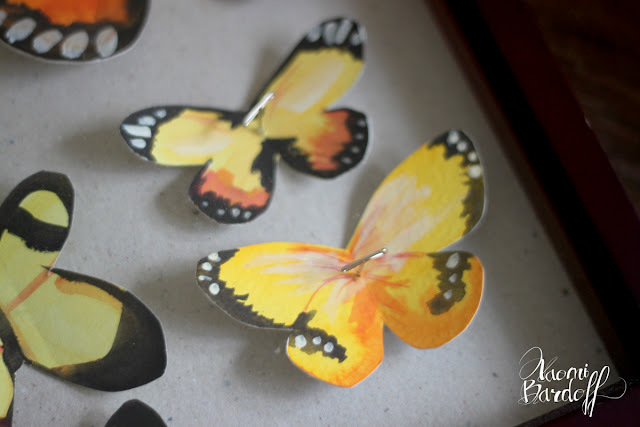 As a group of nature and art lovers we have created a solution at the Butterfly Art Shop and create paper butterflies that are bigger, brighter and stronger than taxidermy butterflies that are 100% Vegan.